If the idea of a delicious blackberry harvest is enough to make you look for a suitable planting location for several blackberry plants, perhaps growing blackberries in pots is a suitable option for you. 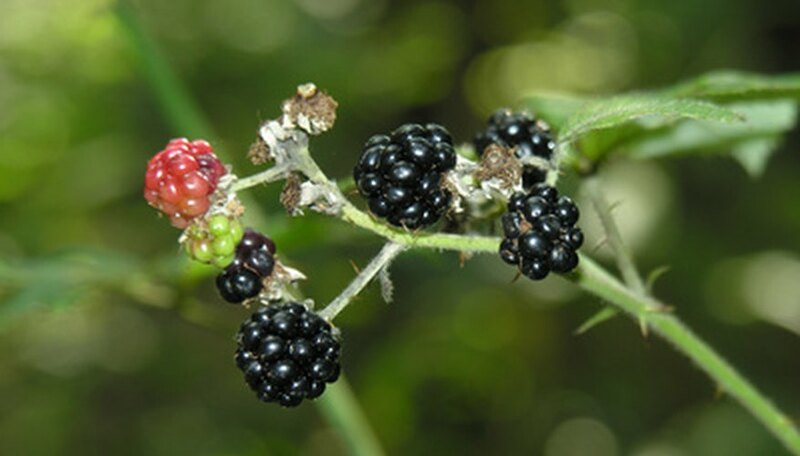 As long as the container is large, the planting medium is rich and the growing spot is sunny, blackberries will thrive in a container and provide plenty of fruit. Grow blackberries in pots for an unusual patio plant. Place the screen over the bottom of the planting container to cover the drainage holes and prevent soil and gravel from washing out the drainage holes when you water the blackberries. Place 2 inches of gravel in the bottom of the container. Fill the container to the top with potting soil. Remove the blackberry plant from its temporary container and push the soil away from the center of the planting container to make a hole for the plant. Place the blackberry plant into the container and cover the roots with potting soil so the plant is at the same level as it was in the temporary container. Pour water over the soil in the container to saturate it completely. Cut back the blackberry plant with the pruning shears so that only approximately 3 inches of stem protrudes from the soil level. This will enable the blackberry plant to grow roots beneath the soil at the same rate as the stems and foliage grow above the soil level. Place the blackberry plant in a location that receives full sunshine. Water the soil regularly to keep it evenly moist. Fertilize the blackberry plant after approximately one month of growing and once per month throughout the growing season. Mix the fertilizer with water according to the recommendations on the fertilizer package. Pour the mixed fertilizer over the soil carefully, avoiding any fertilizer splashing onto the plant foliage. Harvest blackberries when they are firm, plump, juicy and black-purple. Pull the blackberries from the stems with your fingers and gather them in a bucket.